Many band directors arm their beginning jazz students with the Blues scale and unleash them on the unsuspecting jazz world. Sometimes the students haven’t even heard of Miles Davis, but they can blow that blues scale! While you have to start somewhere, I’ve heard enough misuse of the blues scale that I’ve come up with a better solution to teaching a student to solo over the blues. The “Mixo-Dorian Blues” Scale combines three scales into one scale. 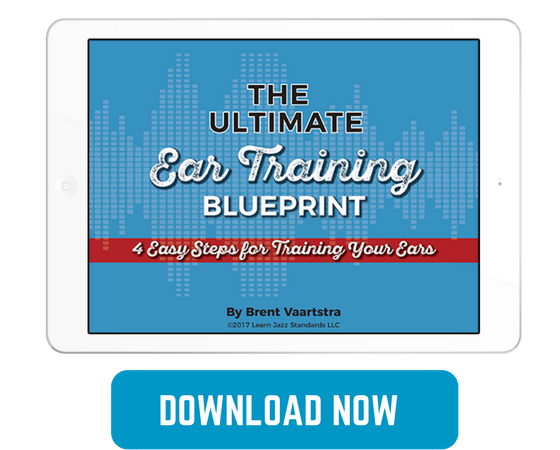 It has more note choices than the blues scale, and can be used to create a more authentic, informed jazz solo over a blues. 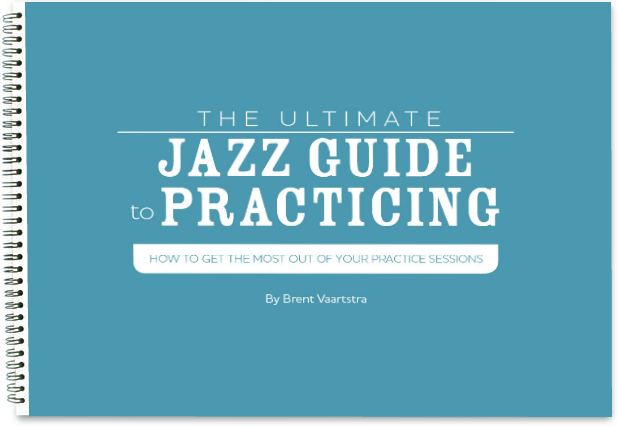 Of course, students should actually listen to lots of jazz so they know how jazz improvisation is supposed to sound, but I feel this scale is a better starting point than the blues scale because it tends to help students discover more of the notes that an actual jazz musician might choose when improvising over a blues. Notice that Mixolydian scale has the major 3rd and the b7. The Dorian scale actually has all of the notes of the Minor Pentatonic scale (1, b3, 4, 5, b7, 8) and is only missing the #4/b5 from the Blues scale. The Blues scale adds a #4/b5 to the Minor Pentatonic scale. I call this the “Mixo-Dorian Blues scale” because it combines the three scales above into one scale. I have had very limited success getting my students to improvise with the Blues scale. It doesn’t have enough note choices for students to sound convincing when improvising. However, I love teaching the Mixo-Dorian Blues scale because it has more harmonic choices that are consistent with the way a jazz musician might approach soloing over a blues tune. I have had much greater success teaching the Mixo-Dorian Blues scale, and I recommend it to other jazz educators and to budding improvisers! 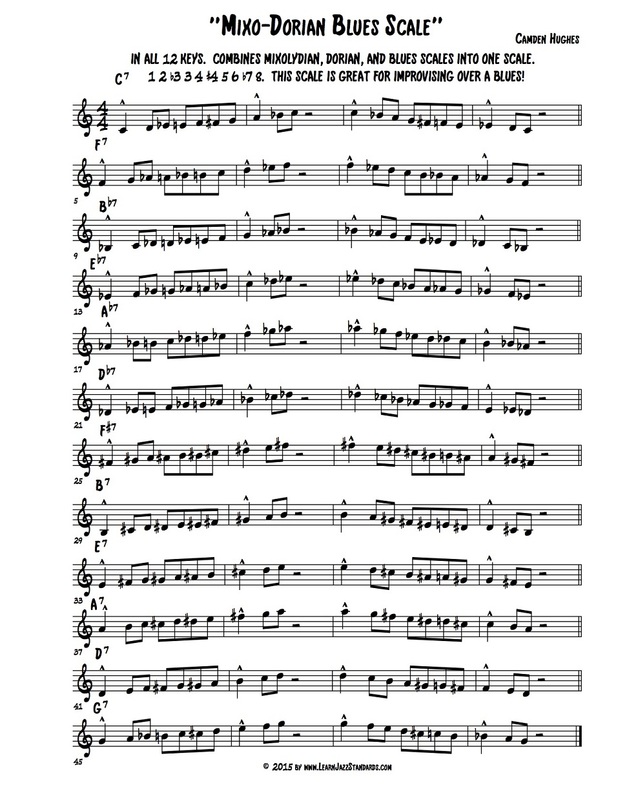 This scale has been tested with my students, and I am happy with how quickly my students are able to sound like they can solo over the blues when they use this scale instead of the blues scale as their starting point. Here is a PDF of the Mixo-Dorian Blues scale. in all 12 keys. 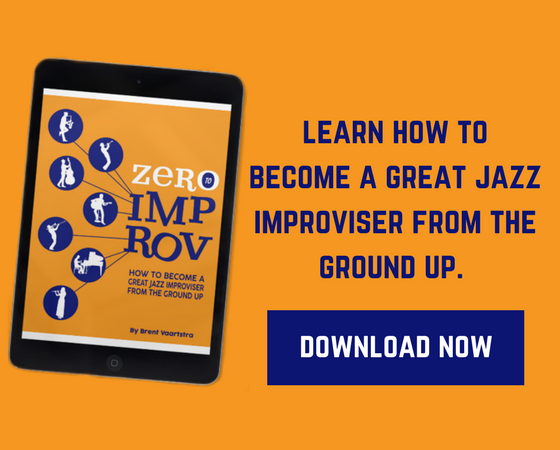 Whether you are an improviser or a jazz educator, I hope you find some good use out of this scale!